It should come as no surprise that I haven’t stopped playing video games in my travels. It’s kinda what I do. In fact, part of my interest in coming to Hong Kong was to learn more about the gaming scene in Asia. I’ll write an article on that near the end of my semester, but there are definitely differences between gaming in the U.S. and in Hong Kong. I hope that knowing more about gaming internationally will give me an edge in the industry after I graduate. I’ve been gaming primarily on my PC since I obviously couldn’t bring my PS4. I’ve hardly touched the 3DS I brought, nor do I really play on my phone. PC is where it’s at. I’ve played a bit of PlayerUnknown’s Battlegrounds, Subnautica, Fortnite, and a lot of Overwatch. In the past couple years, Overwatch has become my all-time favorite. It’s not necessarily the best game, but it’s by far my favorite to play. It never gets old, and I’ve sunk more time into it than any other game. 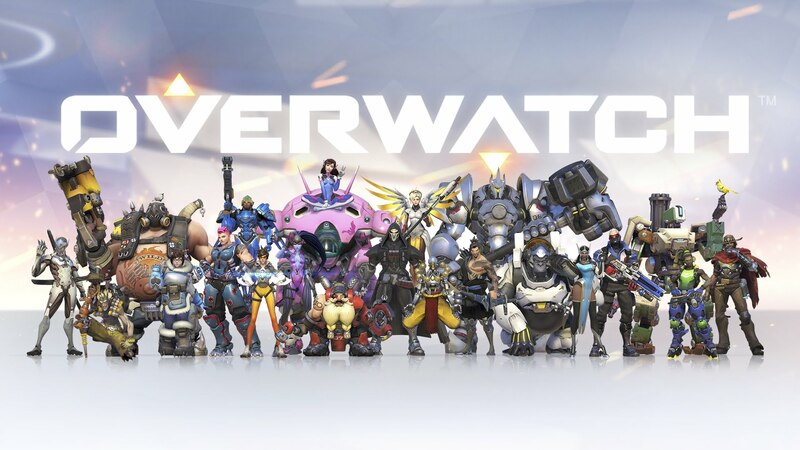 As the game and community continue to evolve, my feelings toward Overwatch grow fonder. For those who aren’t familiar with the game, it’s a lighthearted first-person shooter set in a near future where humans, robots and an anthropomorphic monkey with special abilities fight to save the world from a major threat. Most first-person shooters like Call of Duty, Halo, or Battlefield let the player choose his or her weapon, equipment and maybe some special abilities. But Overwatch has over 25 characters each with specific weapons and skillsets. This makes Overwatch incredibly strategic. Overwatch’s main competitive mode is broken into two-month seasons, and players must complete 10 placement matches at the beginning of every season. Players receive a Skill Rating (SR) anywhere from 0-5000 SR based on their performance in those matches that then goes up or down with every subsequent win or loss. Players are distributed along this spectrum in a shape similar to a bell curve. Before I left Ohio, I was in the 65th to 70th percentile (~2800 SR) on my PS4 console and was steadily going up. But on PC, I’m around the 25th percentile (~2100 SR). This is because in September, I did my first PC placement matches with my laptop on my lap while using my thigh as a mousepad. Not ideal. Your first set of placement matches have the greatest impact on your SR, so despite the fact that I now have a legitimate desk and powerful laptop to complement my personal skill, I can only increase my rank significantly when my team wins. Even if I’m statistically the best player on my team (which I often am), I still lose SR if my team loses. And at this percentile, it’s tough to have better than a 50/50 win/loss ratio, meaning that it’s hard to net any sort of SR gain. So here’s the thing about communication. At the upper third percentiles, it is necessary to highly coordinate attacks and alert teammates to threats. In the middle third, communication is nice but not necessary as long as all the players understand the “meta” I mentioned earlier and can adjust accordingly. It’s just a silent understanding. But in this lower third, communication is key precisely because people often don’t understand the meta. Overwatch is like Rock-Paper-Scissors but with over 25 options. Metaphorically, a low-level player who chooses Scissors often doesn’t understand that he keeps dying because he’s being continually pounded by a Rock. That’s when someone who does understand (me) should suggest he switch to Paper. Unfortunately, the language barrier makes this nearly impossible. In Ohio, it is rare to encounter players who don’t speak English since the servers generally pull from the Eastern U.S. and Canada. Here, servers mix players from Hong Kong, mainland China, Korea and occasionally Japan. That means there can potentially be four other languages within the same team aside from English. The servers try to ensure at least four of the six teammates are from the same country, which is great for locals. But considering very few of those players also understand English, it’s not too helpful for me. I’ve found that maybe one teammate every two or three matches knows enough English to understand basic requests and warnings about characters whose names are the same across languages. Once every 7-10 matches, I’ll find a player who knows a bit more English, sometimes enough to translate sentences to the rest of the team. But most of the time, I exist in a vacuum where I cannot effectively communicate. This has some interesting effects on my play style. I overcompensate to make up for other players’ weaknesses and my inability to communicate. This sometimes ends with me spreading myself too thin, but it has also sharpened my abilities and “game sense,” overall making me a better player and forcing me to push my characters of choice to their limits. In the process, I’ve learned how to maximize my effectiveness in various scenarios where I can’t trust my teammates to perform or adapt. I’ve also learned a bit about the lingo and shorthand here. For example, American gamers often type “GG” at the end of a match, which is a compliment meaning “good game.” The equivalent here is “666,” which was alarming at first due the connotation in America. But now it makes sense since numbers span languages better than other characters. For another example, the game’s anthropomorphic monkey is named Winston, but I usually hear him referred to simply as “monkey” here. I’ve also found that at this low level, nationality doesn’t matter. That may sound odd, but I say it because gamers know the South Korean professionals are the world’s best. South Korea provides the New England Patriots and Golden State Warriors of eSports. That’s backed up by the countless international championships won by South Koreans across genres. Again, there are many reasons for this that I will probably discuss another day. I hoped that aptitude would extend across all levels of play, but it’s just not the case. In my experience, the bad South Koreans are just as bad as some of the Hong Kongers and mainland Chinese players. Hopefully as I rank up, I’ll be able to investigate more. 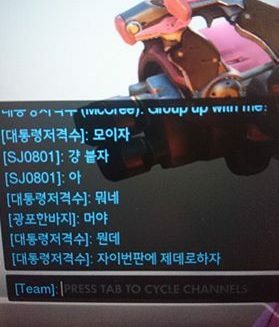 I posted a message looking for English speakers on an Overwatch message board last month and found a trilingual player around my rank who also deserves to be higher. When we play together, this solves most of the communication issues, but our schedules don’t always line up. I’m usually on my own. But I’ve done the math, and I should be in the middle of the pack (~2500 SR) before I leave Hong Kong if I net one win every two to three days, which should be easy enough. I’ll keep at it and will report back once I get there. With any luck, I’ll be able to tell you all about Overwatch at a less embarrassing skill level.